Western is dedicated to the essential public service of collecting and treating wastewater (sewage), and doing so at the lowest possible cost. Our wastewater team and staff provide this vital service reliably every day of the year. While our agency continually strives for cost efficiency, we also need to keep pace with inflation and other cost increases, including, among others, the costs of complying with regulations governing the treatment and disposal of wastewater, repairing and replacing aging infrastructure, and year-over-year increases related to energy, chemicals, biosolids disposal, maintenance and labor costs. 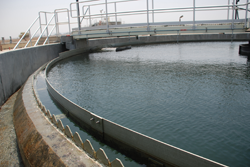 Annually, staff assesses whether current wastewater rates generate sufficient revenue to pay for anticipated costs, and then makes a recommendation to the Board of Directors regarding any needed rate adjustments.